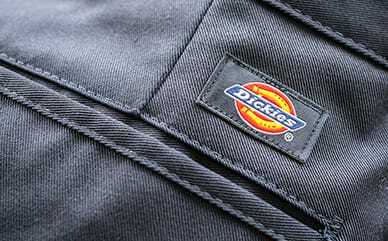 Dickies Girl Juniors’ Logo Band Velour Pants are designed with a relaxed leg and jacquard band that keeps you moving throughout the day. The velour material is soft to the touch, leaving you in comfort anytime you slip them on. Paired with the cropped zip hoodie, you’ll create an effortless outfit.